There is a long history of viticulture at CrossWinds Winery at Hershey in South Central Pennsylvania. Ed Jansen’s father began planting grapes in 1993 with an eye toward selling to local wineries. Today Ed and his wife Linda are managing the vineyard and bottling wines bearing the Crosswinds label. The couple bottled their first vintage in 2010 and opened a tasting room in 2015. Today CrossWinds produces between 1500 and 2000 cases annually. The 25 year-old vines provide mature fruit as the basis for the highly regarded, award winning wines. Linda Jansen was in the tasting room when I arrived and she stepped me through a few of the offerings. I sampled a well crafted Chardonnay made from the oldest estate vines and tasted three Rieslings representing different vintages and level of sweetness. I will say that Riesling is the Crosswinds super power. All were perfectly balanced and displayed unique vintage characteristics. I was particularly impressed by the semi-dry 2013, but all were excellent wines. There was only one red on the tasting menu, but if you are a Chambourcin fan, you need to taste this one. With its cherry notes and hints of spice, it was drinking well and lacked the mid-palate astringency that can be present in single-varietal Chambourcins that are less expertly crafted. It is an excellent example of what is possible with this grape. This is not a party venue. CrossWinds does host events, but they tend to be limited in scope and educational. A variety of classes that promote local artists and artisans or themed dinners are more the norm. The overall goal is to introduce visitors to quality Pennsylvania wine. 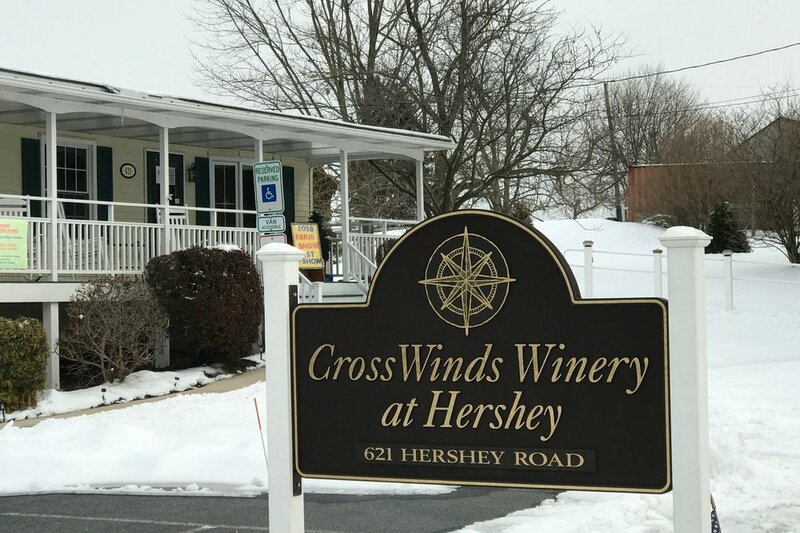 CrossWinds Winery is undoubtedly one of Central Pennsylvania’s premier producers making several wines of note. It is not the only reason to visit, but it is a prime motivator. 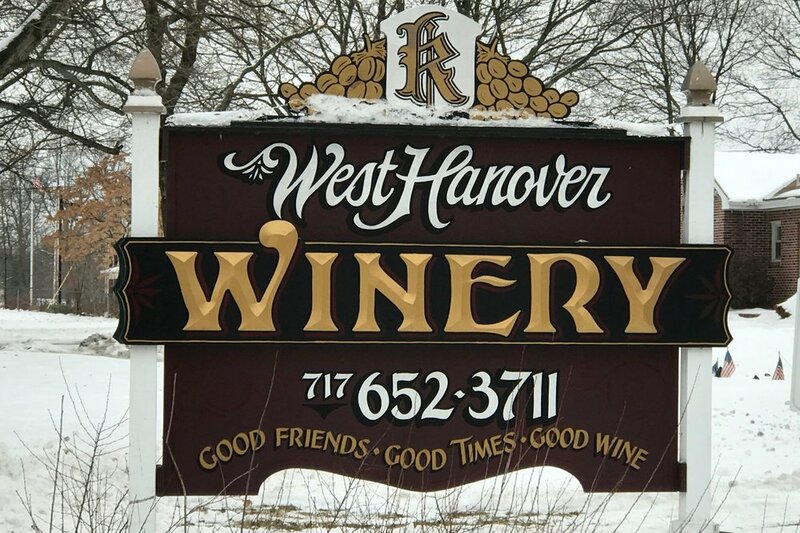 If you are anywhere near Hershey or you are attempting to learn more about Pennsylvania wine, this venue should be on your list. After you stop in, please let me know what you think. 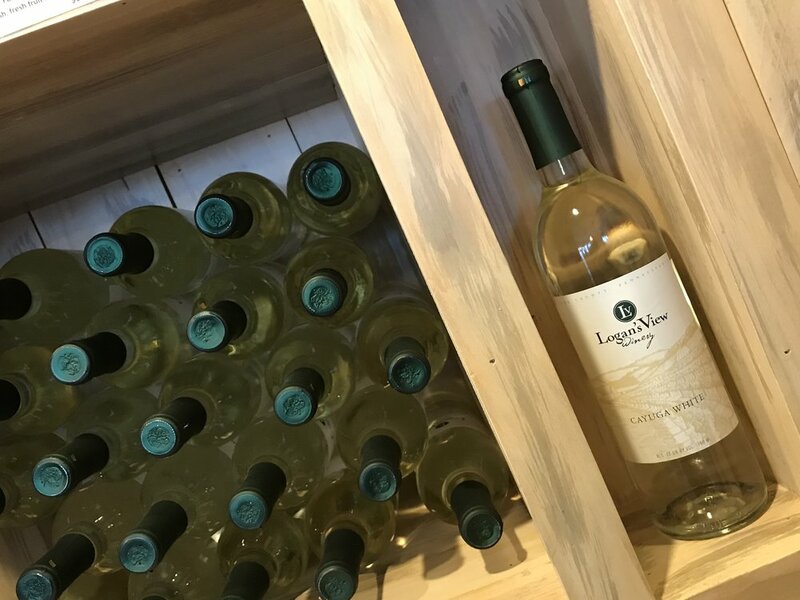 Located just off the Susquehanna Trail and a couple miles south of Loganville, the Logan's View Winery tasting room is located inside Brown's Orchards Farm Market. It's a busy little shopping spot and I had to search a bit for the tasting room, but I found it to be a well-appointed, attractive space with a tasting room vibe. Winemaker Steve Bahn draws on local orchards and a pair of nearby vineyards to create a range of grape and fruit wines. There are more than 30 wines in total and certainly something to please nearly any palate. 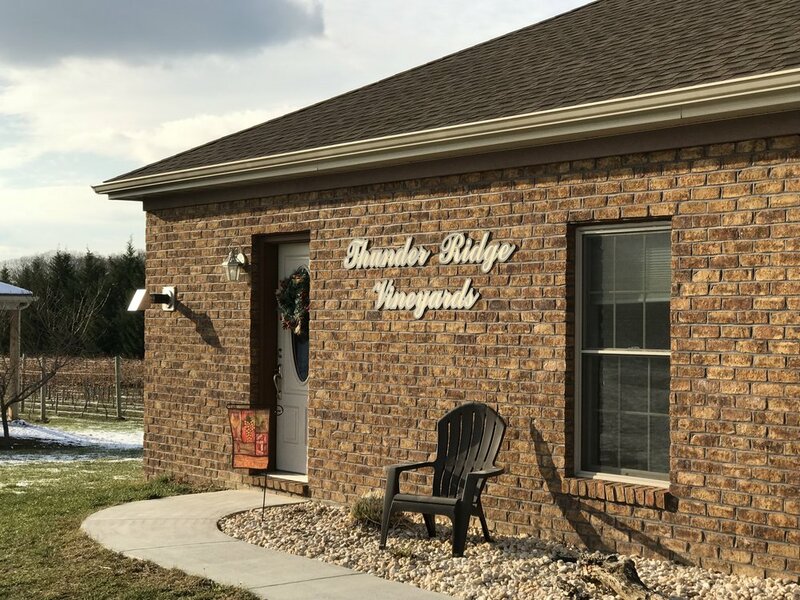 Just a few minutes north of the Maryland/Pennsylvania border, this winery is easily accessible from Interstate 83. Stop in to admire the view, browse the local products available in the farm market and, of course, taste through some of the offerings in the Logan's View tasting room. After your visit, please let me know your thoughts. Open since 2014, Spring Gate Vineyard is located on a 64-acre property near Harrisburg, Pennsylvania. 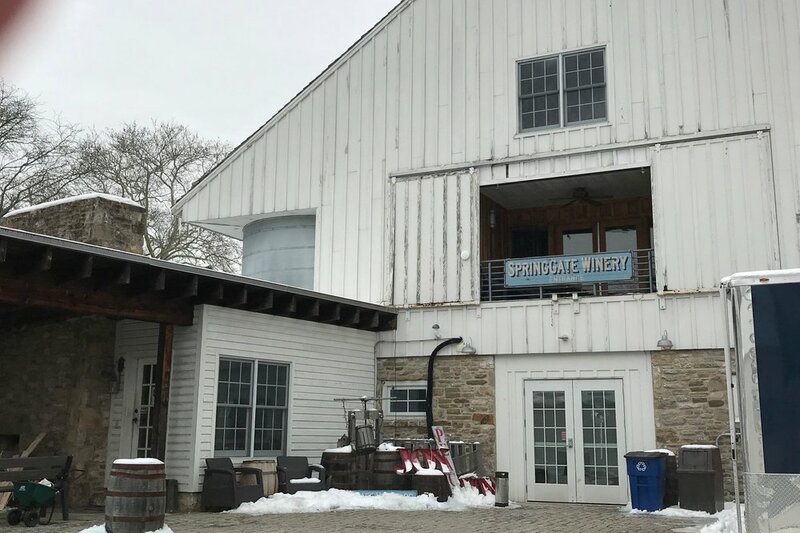 The winery specializes in both wine and cider, which can be sampled in the tasting room. Wine is crafted from 16 acres of estate fruit and the winery sources other grapes from North Gate Winery in Virginia. The Spring Gate vineyards produce a lot of hybrids like Noiret, Vidal and Traminette, but some acreage is devoted to vinifera. Inside the winery, visitors will find a sparkling wine bar and food trucks are feature every day except Monday. It is fair to say that Spring Gate is event centered, so check the calendar prior to your visit. I should also note that the staff is very customer focused and the tasting space is quite cozy. If you are in the area, stop in and let me know your thoughts. Pennsylvania wineries are on my bucket list, but to date I have only limited experience. 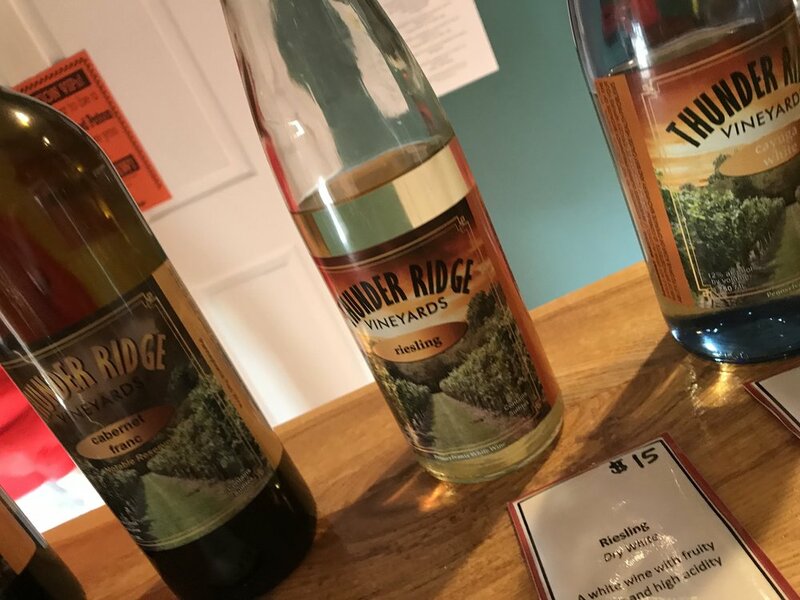 So on a recent trip to Maryland I popped across the border into York County, PA and made a stop at Thunder Ridge Vineyards. The winery venue is carved out of a space that appears partially residential. Despite that initial impression, I was fairly impressed by this small-batch boutique operation. Alex Gormley opened Thunder Ridge in 2014 with her father Jeff. The produce wine primarily from estate fruit, but there is a twist. The Gormleys grows 42 different grape varieties. Spread over four acres of vines, this is little more than a series of test strips that yield about 450 cases of wine annually. Despite what seems like a crazy amount of variety, there is some method to the madness. Emphasis on cool-climate varietals and hybrids that will stand up to a harsh winter are the mainstays of the vineyard. I was extremely pleased to see Austrian grapes like Zwiegelt, Lemberger and Gruner Veltliner. These are planted alongside German Dornfelder, South African Pinotage and a host of others that are uncommon in this region. 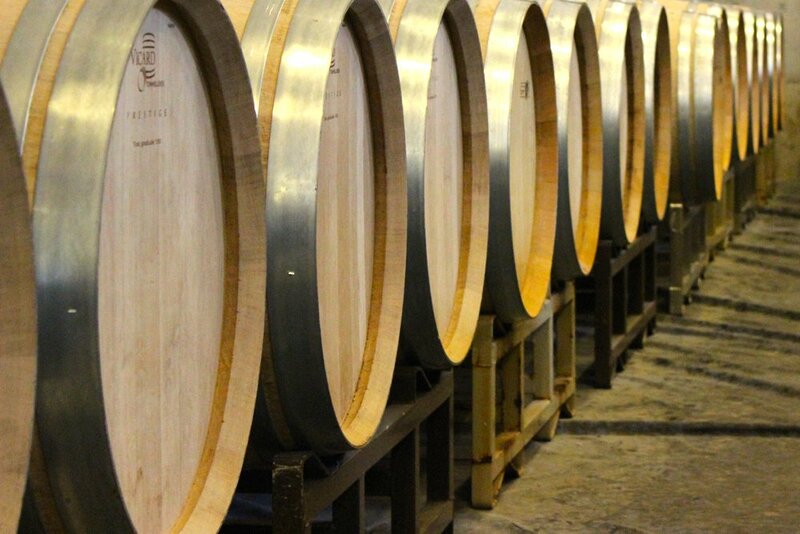 The winery is a collection of containers that range from carboys to small fermentation tanks. An array of wine is in various states of production. Curiously it all comes together into a collection of surprisingly well-crafted wines. Jeff stepped me through a few wines in the tasting lineup and then took me into the winery to try a few things not currently available. Let me reiterate that the overall wine quality was surprising. Nevertheless, a couple of the offerings really jumped out at me. The Riesling was stellar. The .6% residual sugar was just enough to really bring out the fruit in a very well balanced wine. Among the reds there was a Cabernet Franc aged in a Bourbon barrel. It was showing well, but needed a little more time in the bottle. The real standout, in my mind, was the Dornfelder. It is a 2016, so it is not quite ready and we tasted it from the barrel. Despite its relative youth, it already displayed beautiful fruit and structure. It is one to look forward to. I have to say that Thunder Ridge Vineyards really exceeded my expectation. The program of small-batch wines provides an exciting collection. This is a producer that we should make an effort to support. If you are living in or near York, PA (or you just happen to be passing through on Interstate 83), make an effort to stop in. After you do, please let me know what you think.